This paper addresses recent examples of militant atheism. It considers the theistic reply that describes atheism as deriving from a “God-shaped hole” in the human soul. The paper will argue that American pragmatism offers a middle path that avoids militant atheism without suffering from this problem. 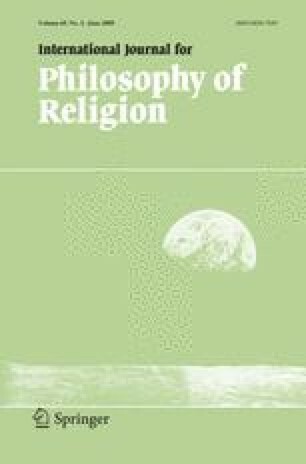 The paper describes this middle path and considers the problem that is seen in Rorty’s recent work: how the pragmatist can remain critical of religious fundamentalism without succumbing to a militant version of atheism. The solution proposed is tolerant acceptance of religion along with melioristic criticism developed within shared norms of inquiry. Harris, S. (2006). An atheist manifesto at Truthdig.com (http://www.truthdig.com/dig/item/200512_an_atheist_manifesto/). Pascal, B. (1660). Pensées. At “Christian Classics” etext library: www.ccel.org/ccel/pascal/pensees.html. Rorty, R. (2001). Decline of redemptive truth and the rise of a literary culture from: http://olincenter.uchicago.edu/pdf/rorty.pdf.